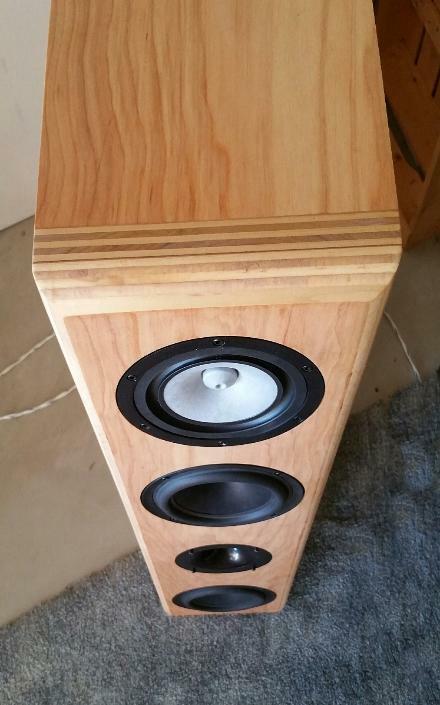 The Halcyon is a very unique 2-way/3-driver design featuring the Markaudio Alpair 10P 6" paper cone full range & two SB Acoustics SB17NRXC35-8 6.5" paper cone woofers. 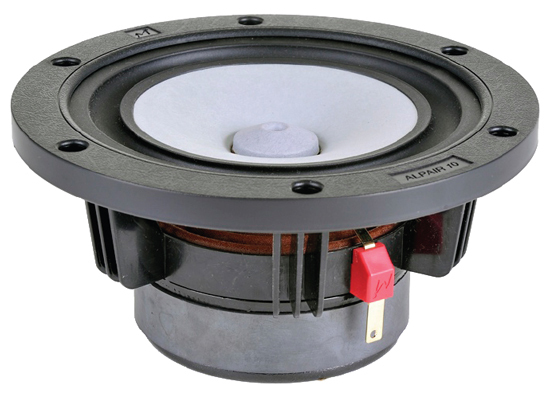 The Alpair 10P is housed in a semi open back cylindrical enclosure, while the SB17's perform in individual transmission lines that are merged at the port in a mass loaded configuration. 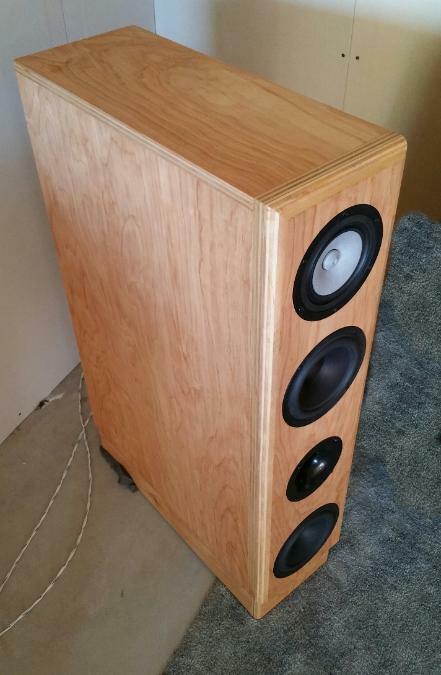 We are really excited about this project, & want to thank Curt Campbell for his design work and never ending contributions to the DIY speaker building community. Discounted Binding Posts/Input Cups are also available with from the drop down menu. Each crossover is professionally assembled on a Matrix Double silver plated copper circuit board. Kester silver solder is used to terminate all the parts. Being a series crossover, parts selection throughout the build is critical. The standard version of the crossover uses a Solen FastCap 150 mfd, ClarityCap PX 10 mfd, and Sledgehammer Steel Laminate 2.0 mH inductor. 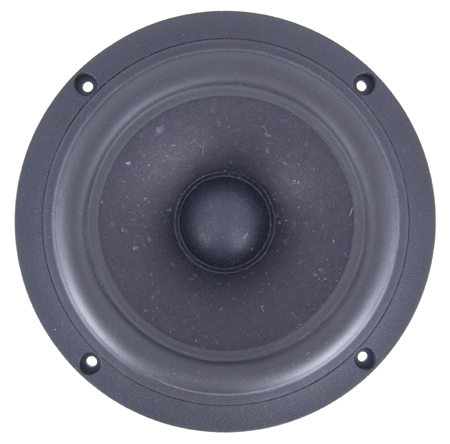 Basic sandcast wirewound resistors are used over metal oxide film type after extensive listening tests during the speakers development. Upgrade options from the drop down menus include higher end caps & Mundorf MResist Supreme sandcast wirewound resistors. 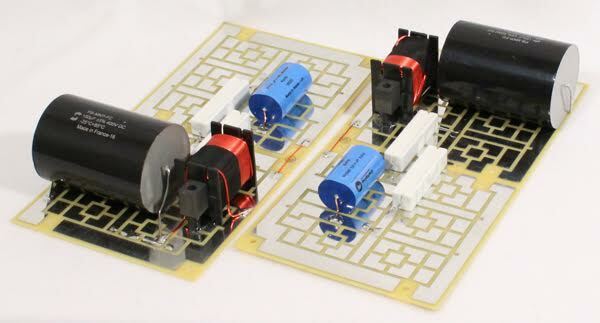 A budget capacitor version is also available.